Explorer: Wild Places is a set of printable battlemaps compatible with any RPG/Dungeon-Crawl game. Explorer: Wild Places is a standalone set, comprising 8 10x12 battlemaps. Each tile depicts a different and unique wilderness area, idea for quick encounters when your party is exploring a hex, or travelling between cities and towns. Forest Stream: A small stream flows past a clearing in a forest. Mountain Ledge: A scrubby path runs alongside a vertical drop to the ground far below. Forest Clearing: A small clearing in a patch of woodland. 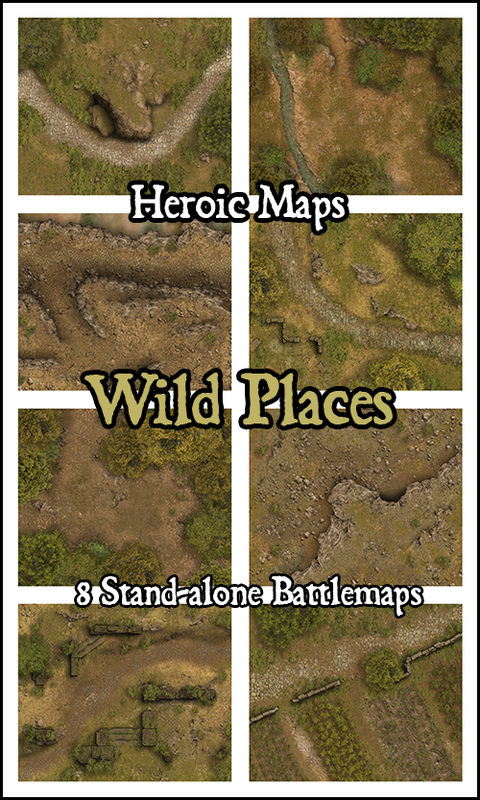 Explorer: Wild Places - 8 battlemaps, each 10 x 12, and can be printed at 28mm and 25mm scale. The one map for me that really stands out here, is the rural farmland map. With the exception of your pumpkin field, and Dave Grafton's vegetable patch garden maps, I have never seen a high quality farmland map. I would love to see a Widlerness tile pack with this type of stuff on. Obviously they would have to merge with the existing packs. Hi Paul. Thanks for the feedback. Glad you like the farmland map. We agree - there are surprisingly few maps that depict farmland, and that is something we'll include more of in future maps. We do already cover the 20x20 size - we have lots of maps that size, and there will be future maps of outdoor locations at that size. I really like the locations in this pack. My only regret is that each map is so small for an outdoor encounter. It works great for an ambush, but any conflict that originates at a distance requires additional maps. I would definitely purchase most of these locations as a 20x20 or 50x50 map. Hi Ryan. Thanks for your comments. The maps are designed for quick small encounters, but if you're looking for larger scale combat you might want to look at our Giant Maps (such as Lostwere Forest, Gallow Lane Woods, Langstone Ruins) where there's lots of space. You can also look at our Geomorphic wilderness sets where you can build a map of any size. 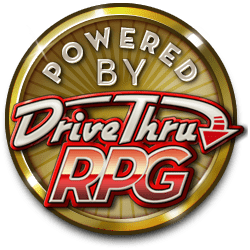 Thanks for the feedback though, and happy gaming!